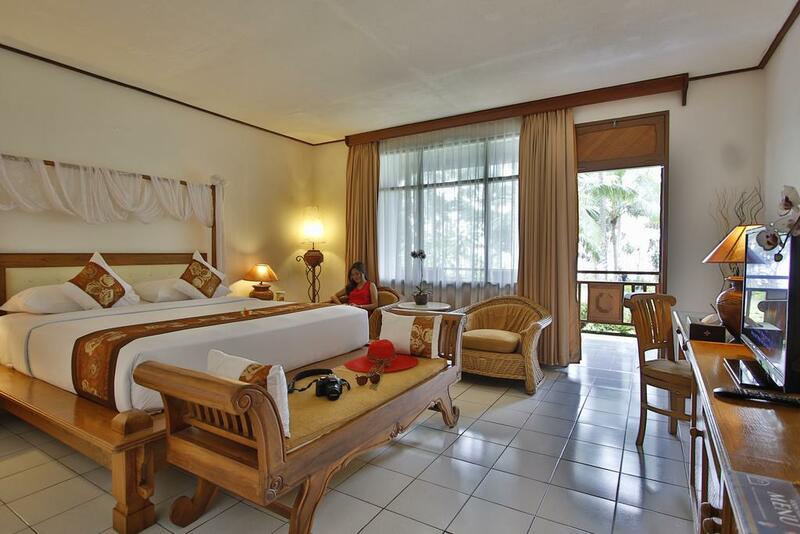 Hotel Jayakarta Lombok is one of recommended four star hotel in Lombok. 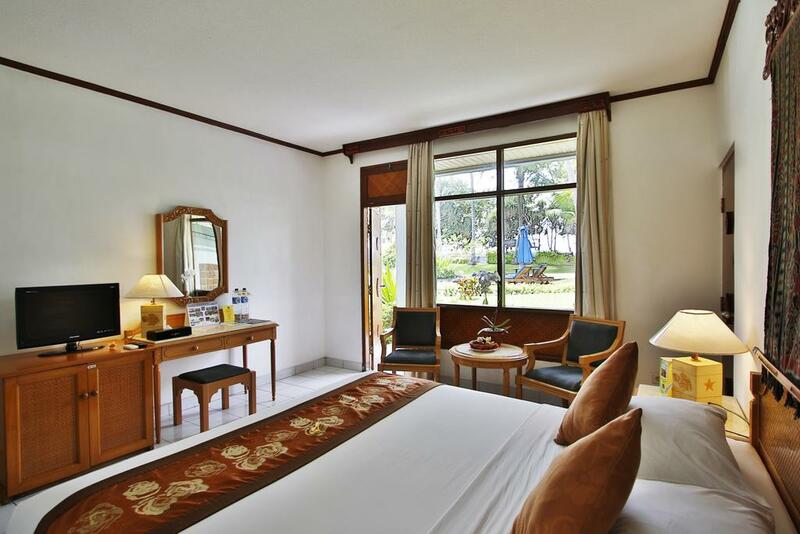 The hotel is set in beautiful tropical gardens right in front of the beach, with beautiful scenes of sunset with Mount Agung and Bali in the background. 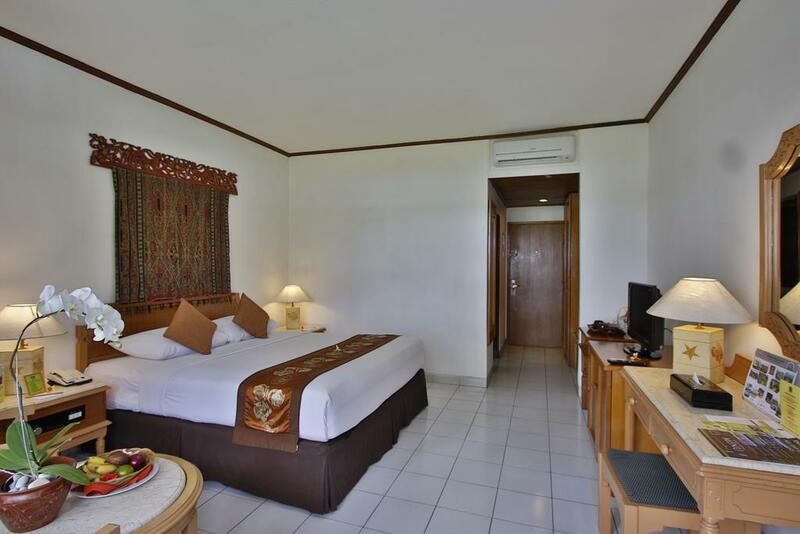 The hotel is 15 minutes from the International Airport, about 35 kms from the Lembar Harbour and only 10 kms from the capital of Lombok, Mataram. All accommodations are well equipped, with all of today's modern facilities. Each guest room has a private balcony, AC, TV, minibar, IDD phone, in-house movies and music, bathtub and shower. The flooring in the new wing is wooden, while the Cottage flooring is ceramic. Suites comprise one bedroom with a queen size bed and a living room. Families are recommended a Suite or inter-connecting rooms. Jayakarta Lombok has 3 restaurants, a coffee shop, a lobby lounge and 2 bars. It features 3 conference rooms the largest with a capacity of up to 250 people. 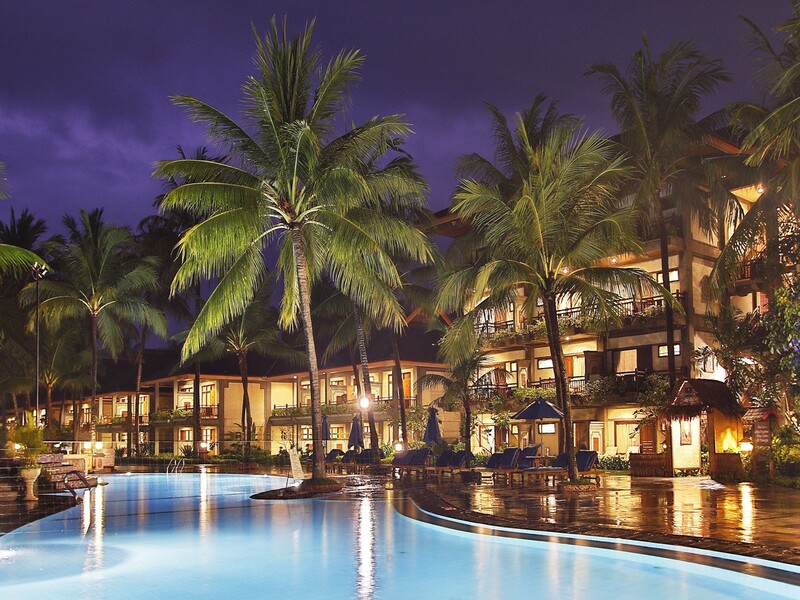 The Jayakarta also has a large outdoor swimming pool, tennis courts, table tennis, billiards and a children's playground.